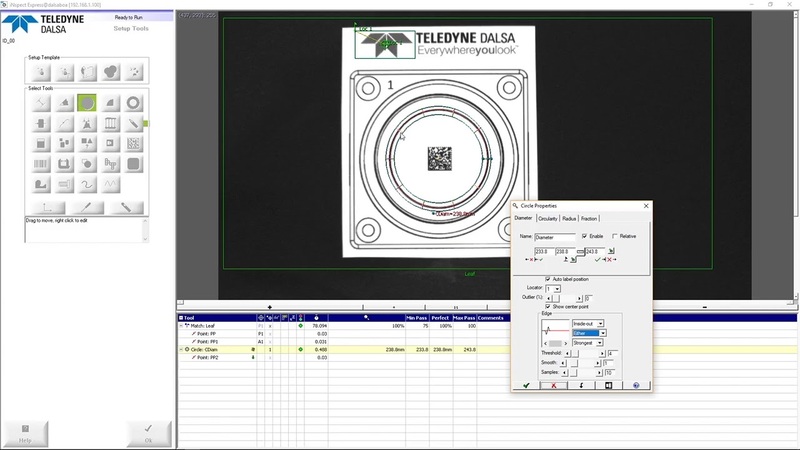 Teledyne’s iNspect application software has been specifically designed to simplify the implementation and deployment of machine vision on the factory floor. iNspect is a practical inspection tool with uncompromised functionality that can be readily applied to a wide range of manufacturing tasks. It provides an easy-to-use graphical interface that allows you to quickly setup and test applications with little or no prior vision experience. iNspect includes the core set of vision tools for finding, detecting, measuring or identifying features for part or assembly inspection and supports a range of communication options, such as EthernetIP, Modbus and Profinet, for interfacing with complementary factory equipment. 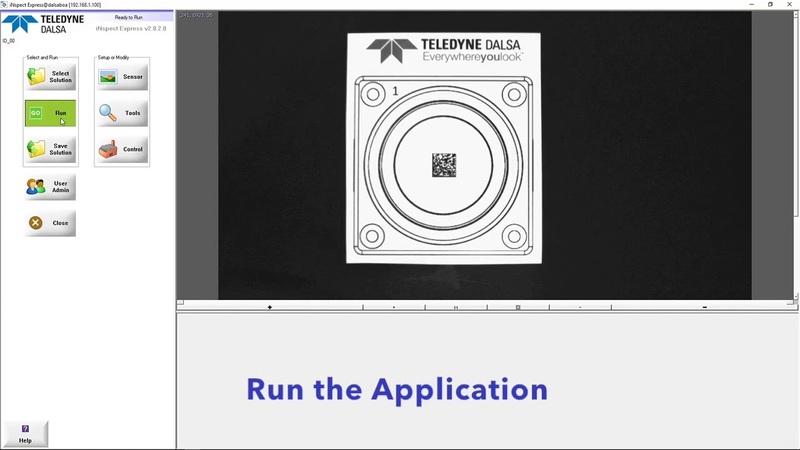 See how easy and precise the software Inspect from Teledyne DALSA measures distances. iNspect's simple, straightforward setup allows users to quickly configure and deploy an application. Each of the inspection tools have been carefully designed to extract the relevant information from the object image. No programming or extensive training is required! 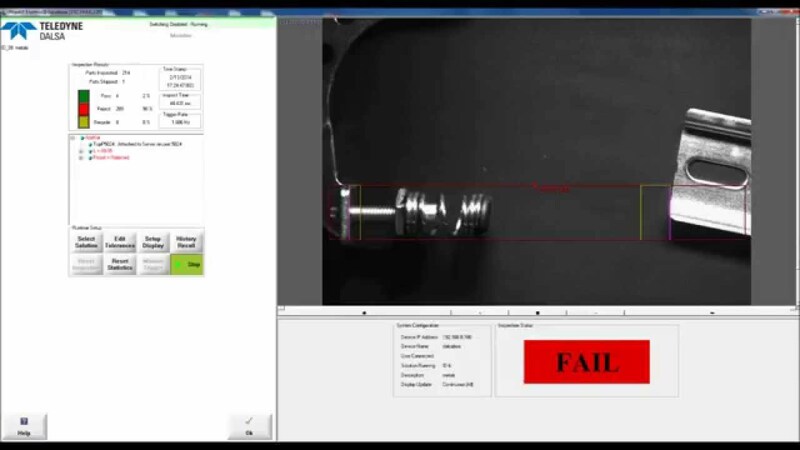 iNspect’s simplicity of use makes the benefits of machine vision available to all manufacturing companies. 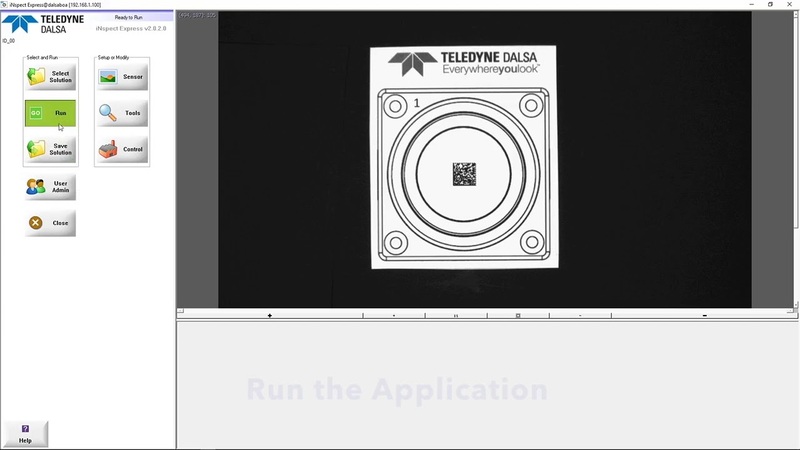 You don’t need to be a vision expert or even have a vision background to put machine vision to work as you can quickly prototype and test your applications with an intuitive interface. Once deployed online you can easily make modifications to accommodate part or tolerance changes. Standardising on one package for all of your vision needs greatly reduces your training investment. iNspect provides a core set of tools and capabilities that have been successfully deployed across a diverse range of applications. The underlying algorithms have evolved over many years of providing vision solutions for factory automation. You have access to tools that have been tried and field tested in the same or similar applications. As it develops, the software can be upgraded at no charge to leverage additional features or improvements with each new released version. You can utilise iNspect’s standard operator interfaces with built-in user admin, or you can develop your own operator interface using iNspect’s custom API. 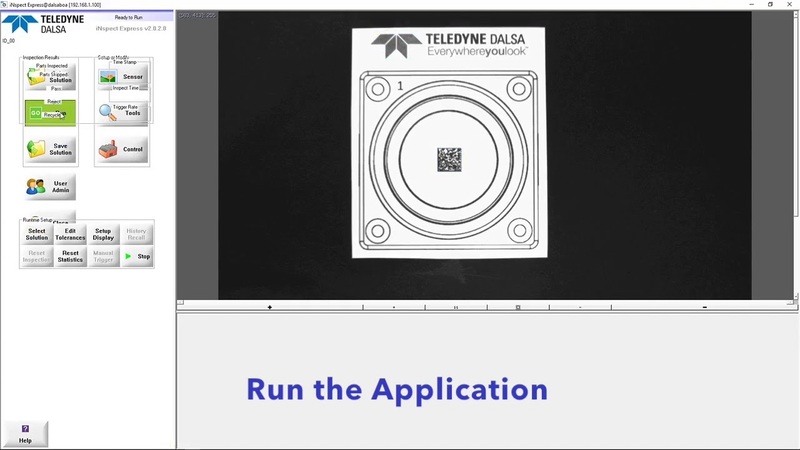 iNspect offers hardware design flexibility to support your application need and technology preference, as well cost advantages for multi-camera applications. You don't need to compromise inspection requirements due to technology shortcomings. iNspect runs on smart cameras and PC platforms with connected cameras. 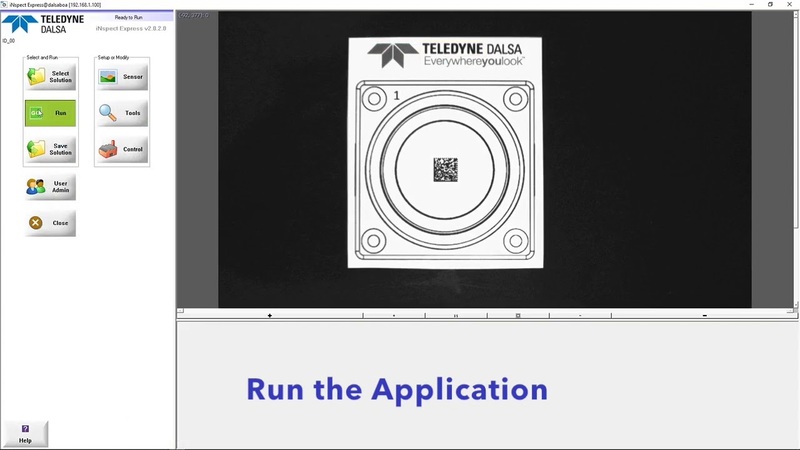 So can select the camera technology that meets your application and cost objectives. iNspect supports standard 2D cameras with any resolution, as well as some 1D cameras.